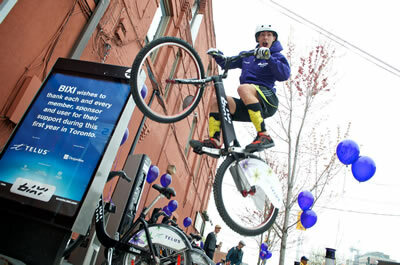 Fact - Hamilton's Bike Share system will be running early summer 2014. This is a huge win for Hamilton! Check out the official bike share website for Hamilton for more information. What does that mean? Well it means that we are slated to have a bike share system in Hamilton early summer 2014! 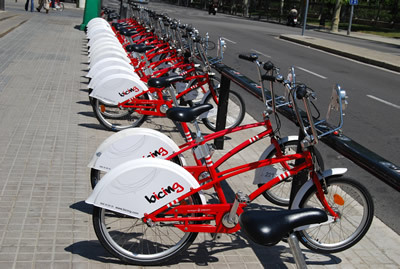 Social Bicycles (aka SoBi) has been chosen as the operator of the system. Their bicycles and stations are a bit different from BIXI hardware, as the bikes themselves will house all the hardware necessary to rent them. This means that the bikes won't have to be locked up at dedicated stations - you can find a bike online, unlock it, and then lock it up wherever is convenient for you. For more information on Hamilton's Bike Share program, check out raisethehammer.org's amazing coverage. According to the business plan created by Hamilton Transportation staff, the start-up and capital funding of $1.6 million will be secured from the Metrolinx quick wins program. This will allow the city to install 35 bike share locations with 300 bikes between them (you can see a list of the proposed bike share locations in the business plan). The Metrolinx quick wins funds were granted to the City of Hamilton in 2008, and are earmarked for capital costs to increase ridership to the A-Line and B-Line bus corridors. 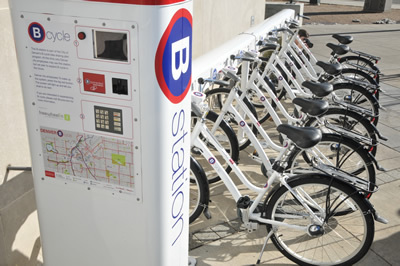 The bike sharing proposal is one of many other improvements being brought to Rapid Transit in Hamilton, and in this context is being built to allow more people to utilize Hamilton's Rapid Transit. Bike sharing is a new form of public transit, and the economic impacts of transit systems are well documented. Adding transit to neighbourhoods typically increases property values and sales activity, along with a host of other benefits. Bike sharing networks will hopefully also 'fill the gap' between our current transit routes. The business plan explains how the stops have been strategically placed to increase access to some of Hamilton's current Bus Rapid Transit corridors, the A-line and the B-line. If the idea works, we will hopefully see a boost to ridership on the HSR, which could go a long way to improving service. Finally, a McGill study discusses the fact that bike share systems increase the amount of cyclists in the City. This is great news, as the City has committed to building 75km of new bike infrastructure by 2016 (according to their Transportation Master Plan). Bike infrastructure has been linked with higher rents and sales activity where it is present - more cyclists means that the City will be getting more efficiency out of its existing investment in infrastructure. The capital costs of the bike share system will be covered by the Metrolinx quick wins money, which means that the operator will not have to pay interest on a capital loan as part of their operating costs. This is important because it removes barriers from the program's success. Other municipalities where bike share was implemented have had to guarantee operator loans or revenues, which is a risk. It also meant higher number of users were needed for the system to be self-sustaining. Hamilton's unique situation gives us a much better chance of the program being a success, and reduces the risk to taxpayers. That's less than 1% of Hamilton's population, according to the 2011 census! This figure doesn't even count the potential revenues from daily and monthly subscriptions, as well as sponsors and advertising. This means that it would realistically take less than 4300 yearly subscribers to make bike sharing in Hamilton a profitable business. Yearly memberships would cost $79, and would allow subscribers to take unlimited 30-minute trips around the city. These memberships would be most useful to people who used bicycles for short trips, such as commuting to work or school, or going to the grocery store or laundry. Cities with similar population and density to Hamilton have installed bike sharing systems with success. 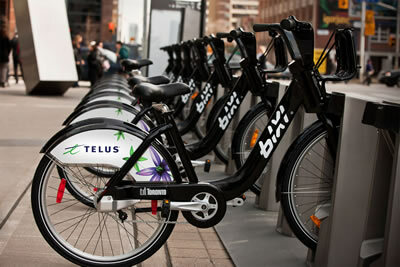 Ottawa's bike sharing system was installed in 2011 and able to break even on its operating costs the same year. Minneapolis was actually even able to exceed its operating costs in its first year (2012), with 75% of the population of Hamilton, and twice as many bikes installed! It's easy to get lost in a sea of facts, but it's really important to note the best part about a bike sharing system is that it will make our city a better place to live, work and play. All you have to do is go to any city with a bike sharing network to see how convenient they are, and how they add to your general quality of life. We have a chance right now to increase the quality of our lives - we MUST take advantage of this opportunity!